Since the inspiration board is done, it makes it easier to design everything else. Next thing to do is the invitation. My best friend, Katryn, owner and principal designer of the highly sought after stationery line, Pemberley Paperie, suggested using water color and I love that idea. I always love the delicate and ethereal feels of water color. I wish I could do more of this practice. 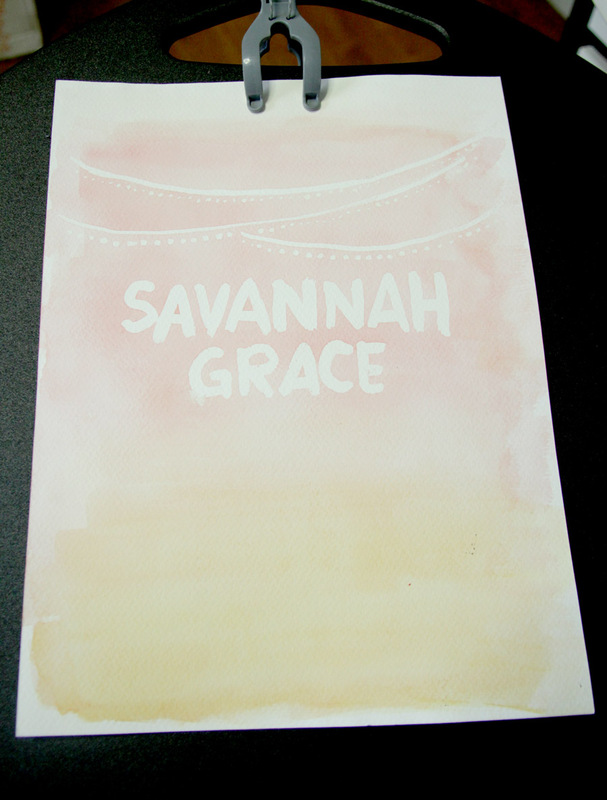 So in no time, I brushed the dust off my old water color tools and start working on the card. 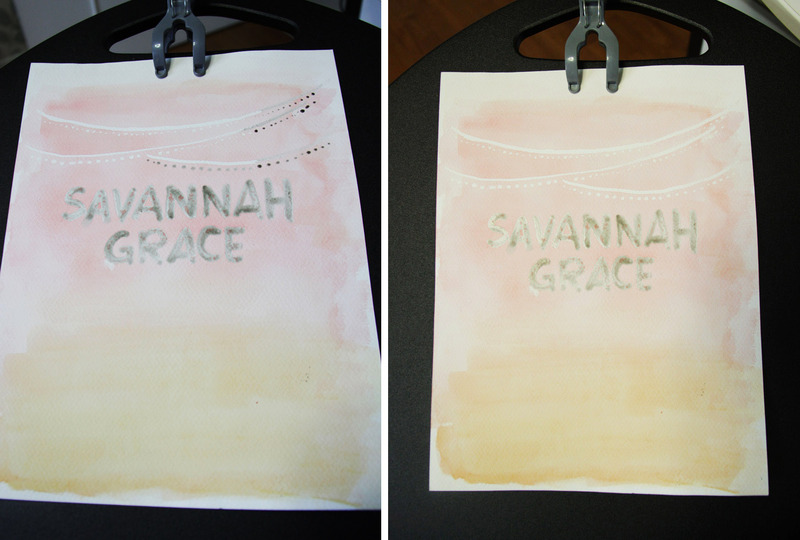 The idea is to create an ombre look by masking away the details. 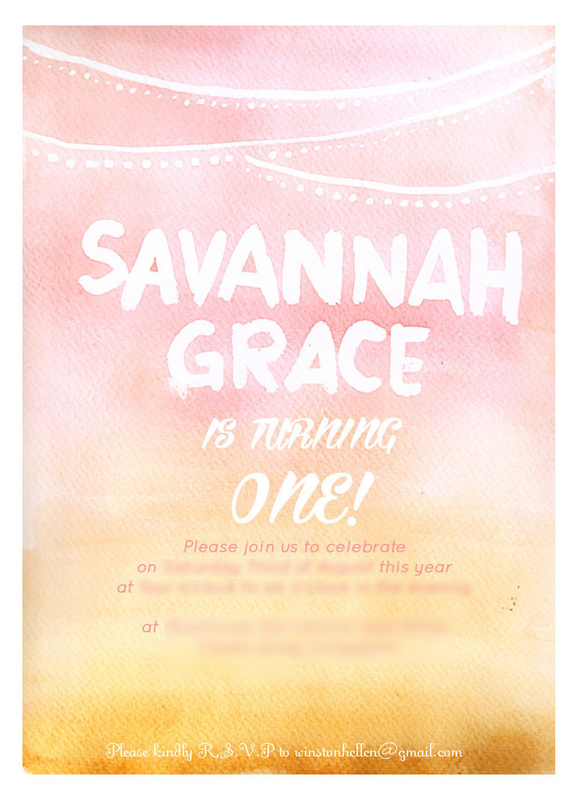 So here’s my journey of hand painting the invite. Writing the name and start painting the 2 colors together. 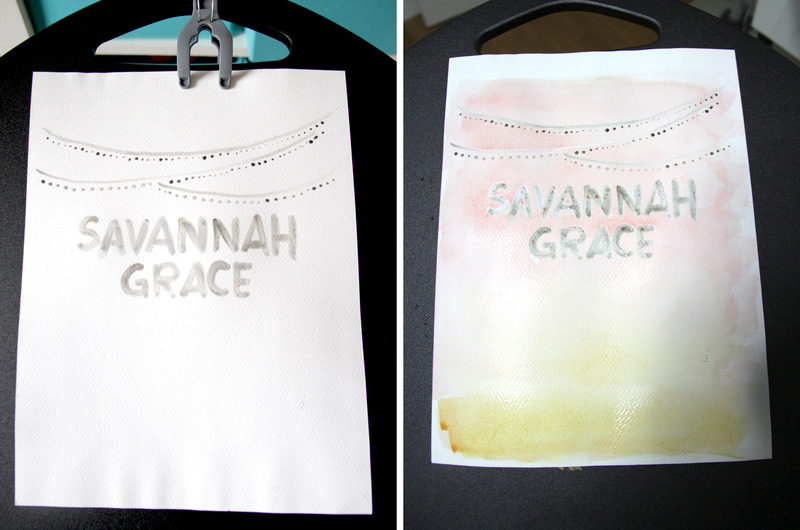 Quickly brush the 2 colors on the damp paper. I used rose and yellow ochre from Winsor and Newton. Wait for it to dry. Then, come my favorite part, peeling the masking to reveal the white paper underneath.